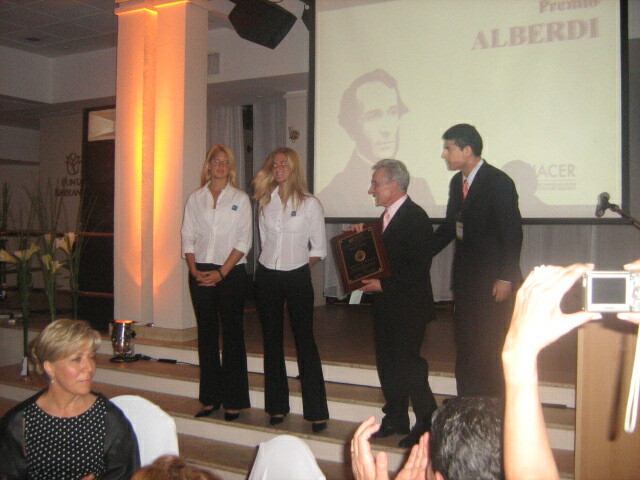 Marcos Aguinis receives the Juan Bautista Alberdi Award During the 20th Anniversary of Fundacion Libertad in Rosario, Argentina. 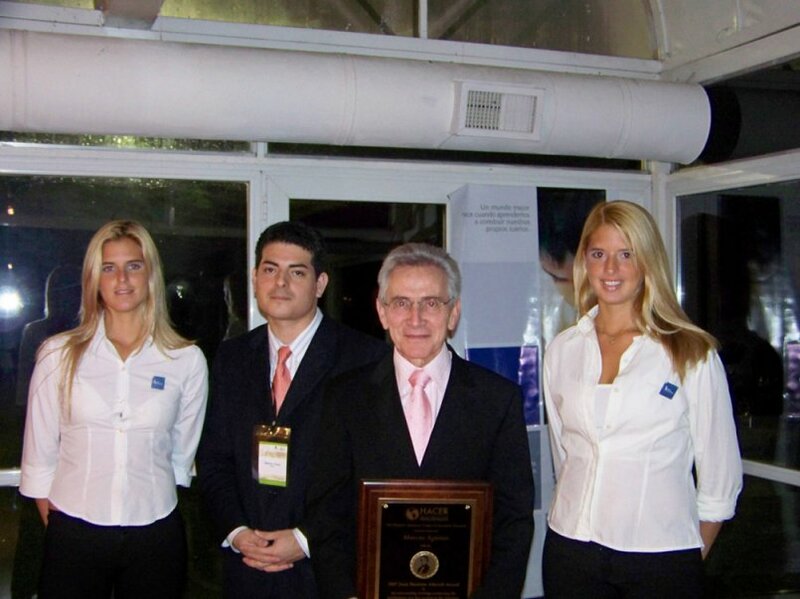 In this 2007 edition of the Juan Bautista Alberdi award, we had 40 nominees from 13 countries of the Americas: Argentina, Bolivia, Brazil, Chile, Costa Rica, Cuba, Ecuador, the USA, Peru, Venezuela, Mexico, Paraguay and Uruguay. The winner of the Alberdi Award 2007, has been attracted to arts since he was 10 years old, with a special interest in literature, music, and plastic art. After experiencing first hand the reactionary environment of humanistic study faculties, he decided to study medicine and ended up becoming a neurosurgeon. Fifteen years later, he also pursued a psychology degree. During his spare time, he started writing as a hobby, getting his first book published when he was 26 years old, and becoming so successful that he has published over 30 books since then. 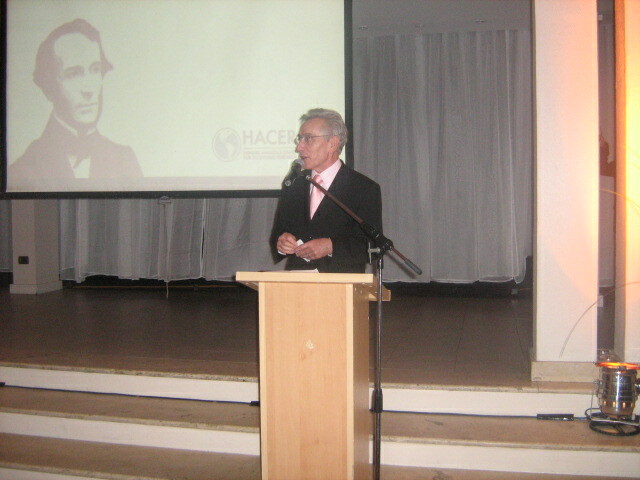 He was awarded with several major prizes such as the Planeta Award, the Award of the Argentine Society of Writers and the Ordre des Arts et des Lettres of France. Our 2007 Alberdi Award winner is from Argentina and was born in January 13, 1935 in Cordoba, where the first university of Argentina opened its doors, and became minister of culture in 1983. 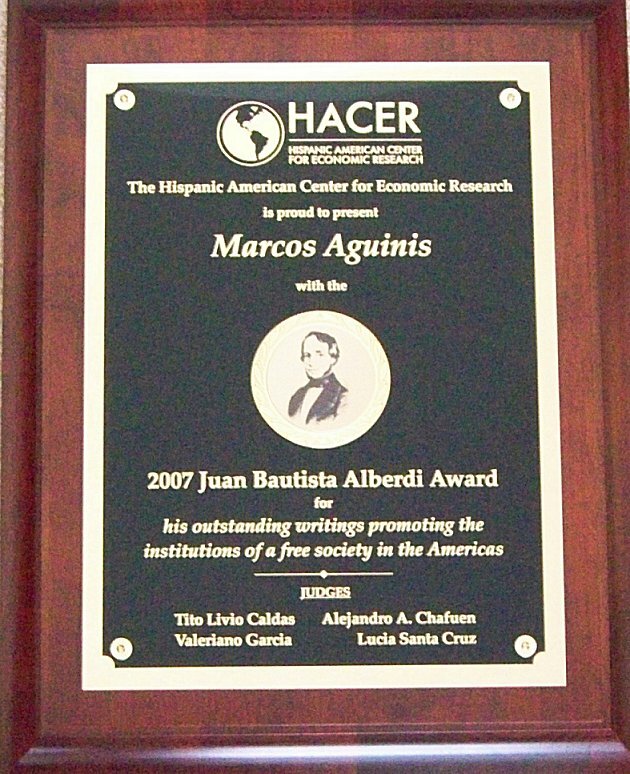 The Hispanic American Center for Economic Research (HACER) is proud to present Marcos Aguinis with the 2007 Juan Bautista Alberdi Award for his outstanding writings promoting the institutions of a free society in the Americas.